Program for 2018 is out. Transparency in Machine Learning (FATML). Lefteris Jason Anastasopoulos, a lecturer and data science fellow at Berkeley's School of Information, provides one answer: Support for immigration "may be greatly overestimated." polls conducted by large survey organizations never ask about immigration in geographic context. Instead they ask questions about whether respondents support increasing immigration or granting amnesty for undocumented immigrants in the "United States" overall rather than, say, Dayton, Ohio, or Wilmington, North Carolina, places where immigration has been rapidly increasing over the past few years. This kind of abstract framing tends to push respondents toward giving more "politically correct" answers to standard poll questions about immigration. Chick flick ? Men give better ratings to TV shows watched by men. Men give better ratings to TV shows watched by men. Men give worse ratings to TV shows watched by women. 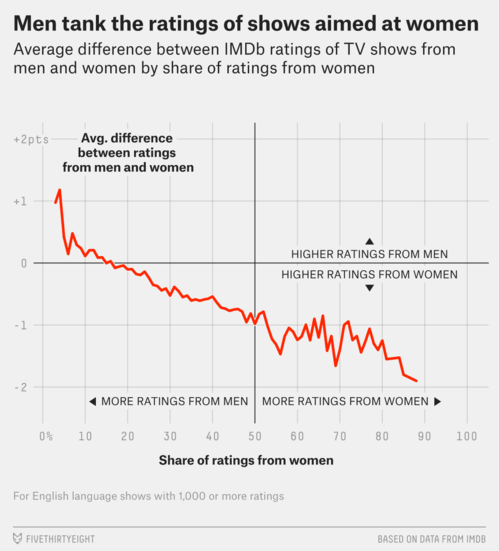 Women give better ratings to TV shows watched by women. Women give worse ratings to TV shows watched by women. The trend in men's ratings is stronger; and men give more "1" worst ratings (on a 1 to 10 scale) than women. Nate Silver will make predictions that have multiple components, so that if one part fails, the overall prediction will seem to have come true, even if its coming true had no relation to the reasons Silver originally offered. See, e.g., "It's a tight race. Clinton's the favorite but close enough that Trump would probably pull ahead if he 'wins' debate." Silver can look back and say "I saw that Trump could pull ahead." But what he actually predicted was that Trump could pull ahead based on debate performance. If he pulls ahead for some other reason, Silver is completely wrong (because he had excluded that other possibility), yet he seems right. Understand personality, not just demographics. OCEAN model: Openness, Conscientiousness, Extroversion, Agreeableness, Neuroticism. In a 10 minute presentation at the 2016 Concordia Summit, Mr. Alexander Nix discusses the power of big data in global elections. Cambridge Analytica's revolutionary approach to audience targeting, data modeling, and psychographic profiling has made them a leader in behavioral micro-targeting for election processes around the world. Cambridge's voter data innovations are built from a traditional five-factor model for gauging personality traits. The company uses ongoing nationwide survey data to evaluate voters in specific regions according to the OCEAN or CANOE factors of openness, conscientiousness, extroversion, agreeableness and neuroticism. The ultimate political application of the modeling system is to craft specific ad messages tailored to voter segments based on how they fall on the five-factor spectrum. The number-crunching and analytics for Mr. Trump felt more like a "data experiment," said Matthew Oczkowski, head of product at Cambridge Analytica, who led the team for nearly six months. The Chicago police, which began creating the Strategic Subject List a few years ago, said they viewed it as in keeping with findings by Andrew Papachristos, a sociologist at Yale, who said that the city's homicides were concentrated within a relatively small number of social networks that represent a fraction of the population in high-crime neighborhoods. Miles Wernick, a professor at the Illinois Institute of Technology, created the algorithm. It draws, the police say, on variables tied to a person's past behavior, particularly arrests and convictions, to predict who is most likely to become a "party to violence." 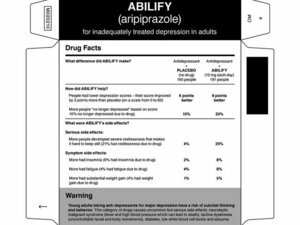 The police cited proprietary technology as the reason they would not make public the 10 variables used to create the list, but they said that some examples were questions like: Have you been shot before? Is your "trend line" for crimes increasing or decreasing? Do you have an arrest for weapons? Jonathan H. Lewin, the deputy chief of the Chicago Police Department's technology and records group, said: "This is not designed to replace the human process. This is just designed to inform it." Benjamin Schmidt, a professor at Northeastern University, created a searchable database of roughly 14 million reviews from the Rate My Professor site. Among the words more likely to be used to describe men: smart, idiot, interesting, boring, cool, creepy. And for women: sweet, shrill, warm, cold, beautiful, evil. "Funny" and "corny" were also used more often to describe men, while "organized" and "disorganized" showed up more for women. In short, Schmidt says, men are more likely to be judged on an intelligence scale, while women are more likely to be judged on a nurturing scale. "We're evaluating men and women on different traits or having different expectations for individuals who are doing the same job," says Erin Davis, who teaches gender studies at Cornell College. ​​ from your vocabulary \SigmaΣ will follow it. Naturally, this can be setup either as a ranking problem or a classification problem. If you are coming from the learning the rank camp, all sorts of bells might be going off at this point, and you might have several good reasons for favoring the ranking formulation. That's exactly what we see in this paper. By setting up word embedding as a ranking problem, you get a discriminative training regimen and built in attention-like capability (more on that later). -- Summary by Delip Rao. At first I was pretty proud of myself for messing with Facebook's algorithms. But after a little reflection I couldn't escape the feeling I hadn't really gamed anything. I'd created a joke that a lot of people enjoyed. They signaled their enjoyment, which gave Facebook the confidence to show the enjoyable joke to more people. There was nothing "incorrect" about that fake news being at the top of people's feeds. The system--in its murky recursive glory--did what it was supposed to do. And on the next earnings call Mark Zuckerberg can still boast high user engagement numbers. Leading proportional states but trailing in winner-take-all states does not add up to victory. -- David Wasserman, U.S. House editor for the Cook Political Report, via 538. Removing police racial bias will have little effect on the killing rate. Suppose each arrest creates an equal risk of shooting for both African-Americans and whites. In that case, with the current arrest rate, 28.9 percent of all those killed by police officers would still be African-American. This is only slightly smaller than the 31.8 percent of killings we actually see, and it is much greater than the 13.2 percent level of African-Americans in the overall population. Radar.oreilly on interface languages and feature discovery. But while the differences are stark to any human observer, nobody has succeeded in finding an objective way to capture the difference. Today, that changes thanks to the work of Rémi Louf and Marc Barthelemy at the Institut de Physique Théorique about 20 kilometers south of Paris. They have found a way to capture the unique "fingerprint" of a city's road layout and provide a way to classify and compare the unique layouts of cities all over the world for the first time. The problem with this method is that the networks of most cities turn out to be remarkably similar. That's because the topology captures the connectedness of a city but nothing about the scale or geometry of the layout. It is the scale and geometry of the layout that seem to be the crucial difference between cities that humans recognize. Louf and Barthelemy's breakthrough was to find a way of capturing this difference. Instead of examining the road layout, they look at the shapes of the spaces bounded by roads. In other words, they analyze the size and shape of the street blocks. Capturing the geometry of city blocks is tricky. However, Louf and Barthelemy do this using the ratio of a block's area to the area of a circle that encloses it. This quantity is always less than 1 and the smaller its value, the more exotic and extended the shape. The researchers then plot the distribution of block shapes for a given city. But this shape distribution by itself is not enough to account for visual similarities and dissimilarities between street patterns. Louf and Barthelemy point out that New York and Tokyo share similar shape distributions but the visual similarity between these cities' layouts is far from obvious. That's because blocks can have similar shapes but very different areas. "If two cities have blocks of the same shape in the same proportion but with totally different areas, they will look different," they say. state of big data in 2014, in a chart. 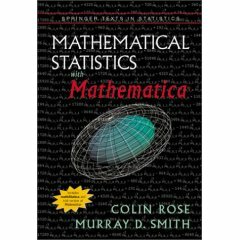 http://stats.stackexchange.com is apparenlty home to Cross Validated, statistics help and seeking help fora at stackexchange.com . Going forward, this study provides an interesting foundation for thinking about how our media are interrelated, and how various facts, anecdotes, and bits of misinformation make their way to the public. "Can we start exploring the data not from identifying these topics of keywords upfront, but asking an algorithm to surface some of those for us?" asks Graeff. "What are some unusual things or clusters of news stories that will allow us to get a sense of news stories that otherwise wouldn't be seen?" In the future, Graeff says he'd like to be able to better track geography and know where stories are being published and talked about. The team is also interested in using natural language processing to track the spread of quotations from source to source. In addition, "automated coding and sentiment analysis" could be used to better understand how perspectives in the newsroom are molding stories -- tools like OpenGender Tracker. Ultimately, the goal is to create a suite of tools that activists, journalists, and academics can learn from. Says Graeff: "A lot of what we show here is that there are better methods for studying the media as a so-called media ecosystem that allow us to really understand how a story goes from barely a blip to a major national/international news event, and how controversies circle around that." Media Cloud was used by Harvard's Yochai Benkler, one of its designers, to track media coverage of the SOPA-PIPA debate and to map that controversy via links throughout the media ecosystem. Benkler found that digital media like Reddit, Techdirt, and AmericanCensorship.org "were the most influential sources in the media ecosystem as ranked by incoming links, overshadowing the impact of traditional media sources." But as the authors point out, Benkler's subject matter was inherently Internet-centric; with this paper, they sought to repeat the controversy mapping on a less natively digital subject. Online ratings: biased or manipulated ? Online ratings are one of the most trusted sources of consumer confidence in e-commerce decisions. But recent research suggests that they are systematically biased and easily manipulated. -- Sinan Aral, the David Austin Professor of Management and an associate professor of information technology and marketing at the MIT Sloan School of Management. How should we aggregate the data into an informative bottom line? To Reinhart and Rogoff's critics, the natural approach is to take the average for each debt level across all years in all countries. This would, for example, give a country with 10 years of very high debt 10 times the weight of a country with only one year. Instead, Reinhart and Rogoff took an average growth rate for each country experiencing very high debt, then calculated the average across countries. In their approach, all countries with any experience of very high debt get the same weight. Which approach makes more sense? That depends on the question you want to answer. 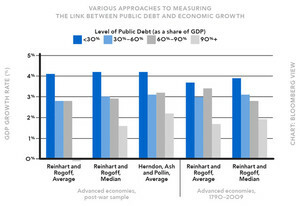 Reinhart and Rogoff are trying to find the average country's growth rate during episodes of very high debt. Their critics are seeking the average growth rate of GDP when debt is very high. These are subtly different. From a statistical perspective, your preference might depend on your judgment about what drives differences in economic growth at a given level of debt. If you think broad country characteristics such as geography or quality of governance are the most important, you might choose Reinhart and Rogoff's approach of averaging out the national idiosyncrasies to determine the experience of the "typical country." If you believe that country and time-specific factors such as domestic- policy decisions matter most, then you might want to weight all years equally to average out these one-time influences. The reason for the review is that an Australian scholar has recently published a paper offering "A Bayesian Understanding of Information Uncertainty and the Cost of Capital." The gist of it is that traders face information uncertainty, that is, the risk of a misleading signal about the value of an asset. 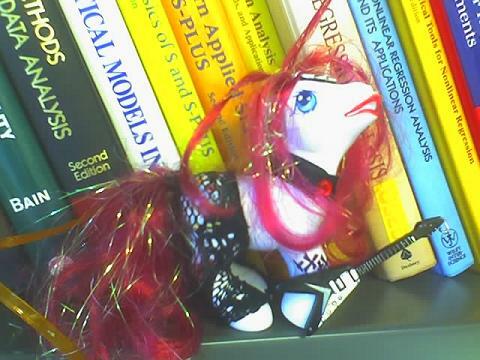 "The Bayesian position," says D.J. Johnstone of the University of Sydney Business School, "is that even a highly informative signal ... can bring an increase in uncertainty, and hence an increase in the cost of capital." This is at least somewhat counter-intuitive. Surely the highly informative signals (also known as "greater transparency") will lessen uncertainty and risk, thus reducing the cost of capital. Ah, Johnstone says, perhaps not. Consider a world in which there are two possible geological formations involved in the search for oil: A and B. There may be oil under either plot. Geologists tell us that plot A belongs to a type of geological formation with a 0.5 frequency of oil. B-type plots, on the other hand, have a 0.95 frequency of oil. It isn't always obvious which is which, and oil companies like to figure out which is which before making the final decisive test to determine whether there is oil there. Suppose also that the prior probability of oil under a random site, before we even know if the site is A or B, is 0.635. Now, on Day 1, an oil company owns a piece of land that has not yet been tested for oil, or even tested to determine whether it is A or B. The market will presumably assess the value of this land accordingly. Prospective buyers will consider it as having a 0.635 likelihood of bearing oil. On Day 2, the land is tested and found to be of Type A. Thereafter, the market will lower the value of that land, because its likelihood of bearing oil has fallen to 0.5. There is greater uncertainty post-test than there was pre-test. "The trickiest problem, the one that will take the longest time to solve, is the creation of a culture of data and analytics, including training operatives to understand what data is," Lundry said. And the collaborative nature of "data ecosystems," he suggested, do not play to Republican strengths. • Blue State Digital, a commercial firm founded by operatives in Howard Dean's 2004 campaign that now provides digital services to clients ranging from the Obama campaign to Ford Motor Company to Google. The World Economic Forum published a report late last month that offered one path -- one that leans heavily on technology to protect privacy. The report grew out of a series of workshops on privacy held over the last year, sponsored by the forum and attended by government officials and privacy advocates, as well as business executives. The corporate members, more than others, shaped the final document. The report, "Unlocking the Value of Personal Data: From Collection to Usage," recommends a major shift in the focus of regulation toward restricting the use of data. Curbs on the use of personal data, combined with new technological options, can give individuals control of their own information, according to the report, while permitting important data assets to flow relatively freely. "There's no bad data, only bad uses of data," says Craig Mundie, a senior adviser at Microsoft, who worked on the position paper. The report contains echoes of earlier times. The Fair Credit Reporting Act, passed in 1970, was the main response to the mainframe privacy challenge. The law permitted the collection of personal financial information by the credit bureaus, but restricted its use mainly to three areas: credit, insurance and employment. Complexity analysis is also a tool that allows us to explain how an algorithm behaves as the input grows larger. If we feed it a different input, how will the algorithm behave? If our algorithm takes 1 second to run for an input of size 1000, how will it behave if I double the input size? Will it run just as fast, half as fast, or four times slower? In practical programming, this is important as it allows us to predict how our algorithm will behave when the input data becomes larger. discrete.gr/complexity/. Scaling campaign contributors on a "liberal-conservative"
Stanford political scientist Adam Bonica has done terrific work mining public campaign donation records for insights into the behavior of campaign contributors. Using a scaling algorithm similar in flavor to those often applied to congressional roll call votes, he has mapped more than 50,000 candidates for federal and state offices and more than 11 million distinct campaign contributors on a "liberal-conservative" dimension. "Ranking-Based Evaluation of Regression Models"
"Tree Induction vs. Logistic Regression: A Learning Curve Analysis"
the William and Flora Hewlett Foundation sponsored a competition to see how well algorithms submitted by professional data scientists and amateur statistics wizards could predict the scores assigned by human graders. The winners were announced last month -- and the predictive algorithms were eerily accurate. The competition was hosted by Kaggle, a Web site that runs predictive-modeling contests for client organizations -- thus giving them the benefit of a global crowd of data scientists working on their behalf. The site says it "has never failed to outperform a pre-existing accuracy benchmark, and to do so resoundingly." Barbara Chow, education program director at the Hewlett Foundation, says: "We had heard the claim that the machine algorithms are as good as human graders, but we wanted to create a neutral and fair platform to assess the various claims of the vendors. It turns out the claims are not hype." An employer's evidence of a racially balanced workforce will not be enough to disprove disparate impact. Employment discrimination provisions of the act apply to companies with more than 15 employees and define two broad types of discrimination, disparate treatment and disparate impact. Disparate treatment is fairly straightforward: It is illegal to treat someone differently on the basis of race or national origin. For example, an employer cannot refuse to hire an African-American with a criminal conviction but hire a similarly situated white person with a comparable conviction. Disparate impact is more complicated. It essentially means that practices that disproportionately harm racial or ethnic groups protected by the law can be considered discriminatory even if there is no obvious intent to discriminate. In fact, according to the guidance, "evidence of a racially balanced work force will not be enough to disprove disparate impact." A bank that wants to sell its best customers additional services, for example, might buy details about those customers' social media, Web and mobile habits to identify more efficient ways to market to them. Or, says Mr. Frankland at Forrester, a sporting goods chain whose best customers are 25- to 34-year-old men living near mountains or beaches could buy a list of a million other people with the same characteristics. The retailer could hire Acxiom, he says, to manage a campaign aimed at that new group, testing how factors like consumers' locations or sports preferences affect responses. But the catalog also offers delicate information that has set off alarm bells among some privacy advocates, who worry about the potential for misuse by third parties that could take aim at vulnerable groups. Such information includes consumers' interests -- derived, the catalog says, "from actual purchases and self-reported surveys" -- like "Christian families," "Dieting/Weight Loss," "Gaming-Casino," "Money Seekers" and "Smoking/Tobacco." Acxiom also sells data about an individual's race, ethnicity and country of origin. "Our Race model," the catalog says, "provides information on the major racial category: Caucasians, Hispanics, African-Americans, or Asians." Competing companies sell similar data. Acxiom's data about race or ethnicity is "used for engaging those communities for marketing purposes," said Ms. Barrett Glasgow, the privacy officer, in an e-mail response to questions. "At the same time, this is ethnic profiling," he says. "The people on this list, they are being sold based on their ethnic stereotypes. There is a very strong citizen's right to have a veto over the commodification of their profile." "DO you really know your customers?" Acxiom asks in marketing materials for its shopper recognition system, a program that uses ZIP codes to help retailers confirm consumers' identities -- without asking their permission. "Simply asking for name and address information poses many challenges: transcription errors, increased checkout time and, worse yet, losing customers who feel that you're invading their privacy," Acxiom's fact sheet explains. In its system, a store clerk need only "capture the shopper's name from a check or third-party credit card at the point of sale and then ask for the shopper's ZIP code or telephone number." With that data Acxiom can identify shoppers within a 10 percent margin of error, it says, enabling stores to reward their best customers with special offers. Other companies offer similar services. "This is a direct way of circumventing people's concerns about privacy," says Mr. Chester of the Center for Digital Democracy. Custora, which also works with sites like Etsy and Revolve Clothing, creates similar online dashboards. But its specialty is identifying the most valuable customer segments and using algorithms to forecast their potential spending over time. Right now, for example, only 15 percent of Fab.com purchasers shop with the company's iPad app. But a Custora forecast estimated that, over the next two years, a typical iPad customer would spend twice as much as a typical Web customer and that the iPad cohort would generate more than 25 percent of Fab.com's revenue. In an era of online behavioral tracking, Fab.com has been more transparent than some other sites about a lot of its customer surveillance, data collection and analysis. Mr. Goldberg writes regularly about the company's social marketing practices and metrics on his blog. Likewise, when Fab.com was seeking seed money last year, Mr. Goldberg gave several venture capital firms passwords to the RJMetrics' dashboard so they could see the company's revenue and customer trends for themselves. "V.C. 's could see it every day," he says. "They could come back and say, 'How did Fab do today?' "
Last December, Fab raised $40 million from Andreessen Horowitz, Menlo Ventures, First Round Capital and several other sources, including the actor Ashton Kutcher. Mr. Goldberg, meanwhile, is now an investor in and a board member at RJMetrics. THIS month, the site even re-engineered its look -- to Fab 3.0 (post Fabulis)-- to capitalize on recent data indicating that users who had checked out the site's crowd-sourcing feature were more likely to make purchases than those who had not. Among other updates, the site now gives more prominence to a live feed featuring the products that members have just bought or liked. For one thing, in numeric surveys, errors are almost always upward: since the amounts of estimated losses must be positive, there's no limit on the upside, but zero is a hard limit on the downside. As a consequence, respondent errors -- or outright lies -- cannot be canceled out. Even worse, errors get amplified when researchers scale between the survey group and the overall population. Suppose we asked 5,000 people to report their cybercrime losses, which we will then extrapolate over a population of 200 million. Every dollar claimed gets multiplied by 40,000. A single individual who falsely claims $25,000 in losses adds a spurious $1 billion to the estimate. And since no one can claim negative losses, the error can't be canceled. THE cybercrime surveys we have examined exhibit exactly this pattern of enormous, unverified outliers dominating the data. In some, 90 percent of the estimate appears to come from the answers of one or two individuals. In a 2006 survey of identity theft by the Federal Trade Commission, two respondents gave answers that would have added $37 billion to the estimate, dwarfing that of all other respondents combined. This is not simply a failure to achieve perfection or a matter of a few percentage points; it is the rule, rather than the exception. Among dozens of surveys, from security vendors, industry analysts and government agencies, we have not found one that appears free of this upward bias. As a result, we have very little idea of the size of cybercrime losses. -- Dinei Florêncio is a researcher and Cormac Herley, Microsoft Research. Other sites are trying to move past the algorithm. A start-up called myMatchmaker uses in-the-flesh people as intermediaries. Some, like Nerve.com, and How About We, aim to streamline the process and encourage interactions around more than a profile. But Kevin Slavin, a game developer who studies algorithms, says those sites are already starting from a flawed base. The digital personas we cultivate on Facebook are often not very indicative of who we are, he said. "A first date is the most tangible instance of you being the best possible version of yourself, the version you think will be the most attractive to someone else," he said. "It is impossible for that to be the same person on Facebook." Rob Fishman, who helmed the development of Yoke.me, says he views the service as an icebreaker, not as a crystal ball capable of divining whether or not someone is your one true love. "We aren't saying you will want to spend your life together; you don't even know each other yet," he said. "You like the same band, talk amongst yourselves." We're pragmatists. We have no religion about development process, programming languages, version control, text editors, SQL vs NoSQL, etc. We use the right tool for the job, and we try to stay adaptable and open-minded. We care deeply about building a mutually supportive atmosphere, and you should, too. We don't expect everyone we hire to be an expert in everything we do on their first day. We do expect that you want to learn, grow, and be challenged by the people you work with. You should be able to learn new things on your own, quickly. We believe strongly in metrics, testing, continuous integration, and working fluidly and harmoniously with our experienced operations staff. Everything we write is designed for simplicity and maintainability. We take security very, very seriously. We are active open source contributors, and we hope that you are too (or, at least, that you want to be). After South Florida added more than 100 football players, it was out of balance under the first test. Lamar Daniel, a gender-equity consultant, told the university in 2002 that it failed the other two as well. He recommended adding a women's swimming team and warned that trying to comply with the proportionality option would be difficult because South Florida's female participation numbers were too low. But university officials tried anyway. A primary strategy was to expand the women's running teams. Female runners can be a bonanza because a single athlete can be counted up to three times, as a member of the cross-country and the indoor and outdoor track teams. In 2002, 21 South Florida women competed in cross-country. By 2008, the number had grown to 75 -- more than quadruple the size of an average Division I cross-country team. When told of the team's size, Mr. Daniel, a former investigator for the Office for Civil Rights, said: "Good gracious. That would certainly justify further examination." 3. Foster active learning through problem solving. In Georgia, the state school board ordered investigations of 191 schools in February after an analysis of 2009 reading and math tests suggested that educators had erased students' answers and penciled in correct responses. Computer scanners detected the erasures, and classrooms in which wrong-to-right erasures were far outside the statistical norm were flagged as suspicious. #MTADEV: Build your own transit informatics for lower NY and NYC using MTA's data. Mr Wyatt Gallery has a Photography Gallery. Notably, he received a Fulbright Scholarship to travel to Trinidad and Tobago. -- another example of the Dennis the Dentist naming rule. 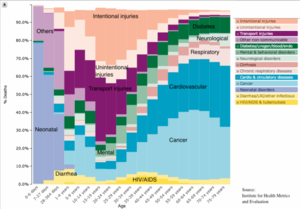 Abstract of a new paper in Infectious Disease Modelling Research Progress. I.B.M. took a big step to expand its fast-growing stable of data analysis offerings by agreeing on Tuesday to pay $1.2 billion to buy SPSS Inc., a maker of software used in statistical analysis and predictive modeling. "None of the consolidation purchases we've seen in the business intelligence industry have been fire sales," said Jim Davis, senior vice president of the SAS Institute, a private company based in Cary, N.C., that is the largest supplier of business intelligence and predictive analytics software. The most astonishing change concerns the ending of boys' names. In 1880, most boys' names ended in the letters E, N, D and S. In 1956, the chart of final letters looked pretty much the same, with more names ending in Y. Today's chart looks nothing like the charts of the past century. In 2006, a huge (and I mean huge) percentage of boys' names ended in the letter N. Or as Wattenberg put it, "Ladies and gentlemen, that is a baby-naming revolution." Wattenberg uses her blog to raise vital questions, such as should you give your child an unusual name that is Googleable, or a conventional one that is harder to track? But what's most striking is the sheer variability of the trends she describes. Naming fashion doesn't just move a little. It swings back and forth. People who haven't spent a nanosecond thinking about the letter K get swept up in a social contagion and suddenly they've got a Keisha and a Kody. They may think they're making an individual statement, but in fact their choices are shaped by the networks around them. Furthermore, if you just looked at names, you would conclude that American culture once had a definable core -- signified by all those Anglo names like Mary, Robert, John and William. But over the past few decades, that Anglo core is harder to find. In the world of niche naming, there is no clearly identifiable mainstream. Still, the couple, like many others, is vulnerable to falling behind again as home prices decline further. But Robert M. Lawless, a law professor at the University of Illinois who favors cram-downs, said success should not be viewed simply "in terms of dollars and cents." -- Lawless law professor on cramdowns. Explanation of the Dennis the dentist rule. Cash back at closing -- Mortgage fraud ? paid for the house. What could this mean? indicated the artificial inflation that marked a cash-back deal. of others and sold them off as mortgage-backed securities. once it is out of your possession. -- Freakonomic pf the week. nearing 40 and is the most distinguished prize short of a Nobel. 3. America is still read, white and blue. Prosper now enjoys some powerfu tools. adverse selection says avoid the high rate borrowers. Money Walks journal of patterns in data, performance. Prosper Analytics animated charts, not quite chart junk. ROI. Prosper's own loan performance database. Data visualization in web browser, with interaction. New champion: IBM's Many Eyes. Liked by JHeer and radar.oreilly. 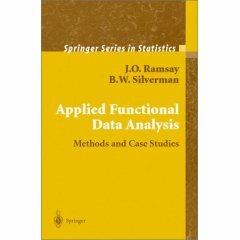 in Stata and eViews formats. PCE time series inflationary ? Show the time series with a sparkline. Go mad with stock charts. US Federal Budget deficit, 1983-2003. Zivot's class in time series econometrics notes. Econometrics and Time Series (ETS) module of SAS . Proc ARIMA with the ease of use and interpretability of Smoothing models. ARIMA function that is planned for Proc UCM. Econometric course notes by John Aldrich. give better forecasts than methods that model each series separately. Spreadsheets put on the web by NumSum. Home value by rooms by Miller Samuel. This regression is crying out for a log transformation. 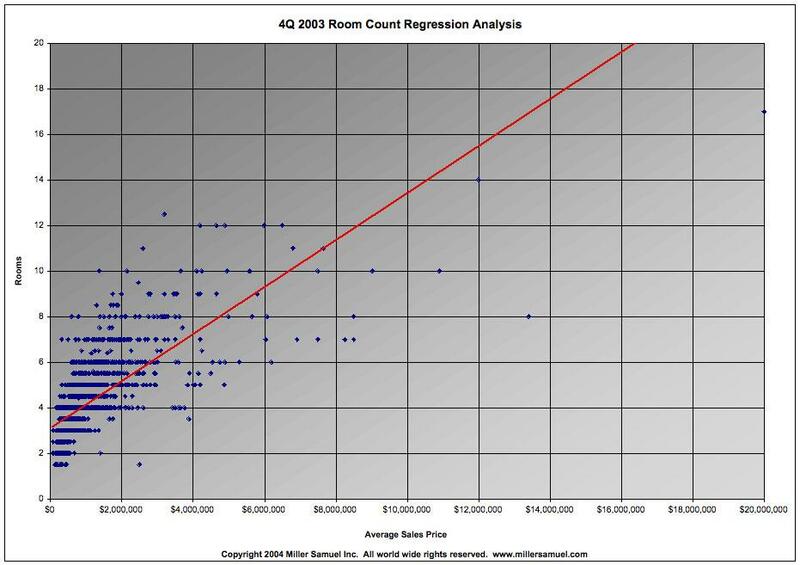 And what do all the data points with fractional room counts represent ? Update 2006 Dec.: Moved to enterprise-dashboard.com. Kimberly 'KC' Claffy measures internet traffic. environments are related to environmental effects. plug-in algorithm under the Kullback-Leibler information criterion. superior to the normal reference rule. for prediction purposes than the principal components method. 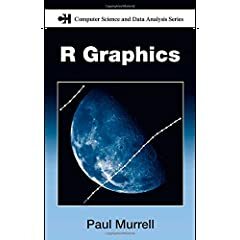 Information Visualisation Lecture Slides uses r.
regression quantile parameter: sparsity, rank, and resampling. SAS examples with explanation abound at UCLA: 1, 2.
perl object, i.e. blessed thingie) is a piddle. What have we learnt ? 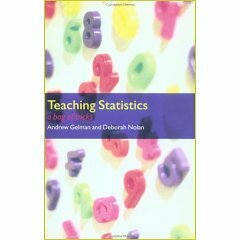 State of stats: PDF, Antony Unwin on Statistical Learning. kernels, all necessary computations are performed directly in input space. identical to the training data. Detailed contents, inventory of algorithms and kernels, and matlab code. SVM Light is a Support Vector Machine. impact on modern science and technology. Fair Isaac and UCSD data mining competition lets you test your predictive power. (time series and panel) models with time-varying coefficients. Andrew Gelman and Samantha Cook at Columbia. offers an introduction to GEE models. Much of the brain trust of XLISP Stat has moved on to r.
researcher to observe and analyze data at different scales. 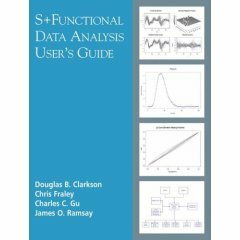 NIST's Engineering Statistics Handbook: Exploratory Data Analysis. perception on the timeliness of ratings is the "through-the-cycle"
understanding of the through-the-cycle methodology. on short-term indicators of credit quality. 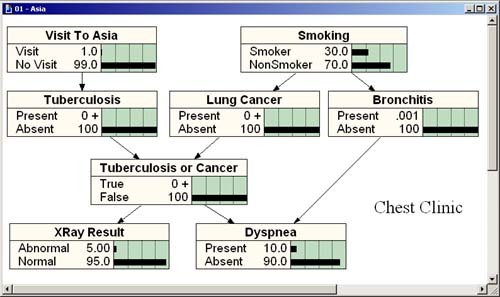 TreeAge offers statistical software for non-statisticians. 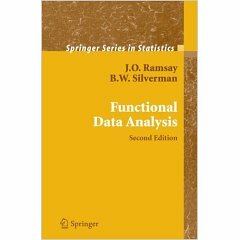 Features include sensitivity analysis and distribution graphs. relationships involve uncertainty, unpredictability or imprecision. clear visualization of the relationships involved. Agena Risk bayesian network analysis software and whitepapers. internal and regulatory default prediction models. diagnostic tests (Griner et al., 1981). Lindeberg's Central Limit Theorem at Planetmath. TreeBoost - Stochastic Gradient Boosting. MedCalc has good list of basic statisitical features. from the original training data. Nov 2004 Finance Event Proceedings for LossCalc II: Dynamic Prediction of LGD. robust and validated model of LGD for loans and bonds globally. underlying drivers of default recovery/loss that we show. Edward Malthouse's data mining course (DM). either directly at the computer or on hardcopy.